Machu Picchu: the mere name evokes a sense of mystery, wonder and adventure for the most curious of travelers. This nine-day, exclusive itinerary takes you on an unforgettable journey from the bustling streets of Lima to the markets of Cusco and onto the awe-inspiring, world-renowned Inca Trail for a fascinating trip of a lifetime that’s sure to send you home revived and inspired by the enigmatic fortitude of the Inca civilization. *We recommend a minimum of 10 years of age for all children traveling on this trip. The mystery: everywhere you go, there's a sense that the Inca culture still permeates every hilltop, village and valley. The Sun Gate: nothing prepares you for the feeling of awe as you step through Intipunku and gaze upon the ruins of Machu Picchu for the very first time. The local Indian market in Pisac: this colorful market offers the region's most impressive display of handmade textiles and crafts. (one hour) to your hotel in Miraflores, Casa Andina. Dinner on your own. Hotel B sits in Lima’s most vibrant district: Barranco. Now home to many of Peru’s best-known artists, musicians, designers and photographers, you’ll find the intrigues and mysteries of Peruvian culture, geography and nature just a short walk from your hotel. The spacious rooms of the mansion feature charming views of the outside street or inner courtyard, plush sitting areas for relaxing after a day spent exploring Lima, and comfortable, luxurious beds. Surrounded by galleries and artists’ studios, Hotel B houses a unique art collection of its own and is linked directly to the Lucia de la Puente Gallery. Morning tour of the historic center of Lima, declared a UNESCO World Heritage Site in 1988. Visit the Paseo de la República, San Martín Square, the Main Square, Government Palace, Basilica Cathedral, the Archbishop’s Palace, City Hall Palace and stroll streets lined with colonial mansions and Moorish-style balconies. After lunch at Mangos de Larcomar, check out a collection of pre-Colombian artifacts on a visit to the Larco Herrera Museum. Dinner perched over the Pacific at la Rosa Nautica, an unforgettable restaurant located on Pier 4 of the Lima Beach Circuit. Morning flight to Cusco, the Inca Empire’s capital and oldest continuously inhabited city in the Western Hemisphere. Transfer to the Sacred Valley. Visit Awanacancha, the llama project, where we will see different South American camelids. Shuttle to Pisac for a hike to the region’s mysterious mountainside ruins. Shop an impressive display of handmade textiles and crafts at a local Indian market. Visit a local school to get to know the kids/teachers and to deliver materials, including books, pencils and crayons. Lunch at Hacienda Huayocary where you will discover a vast collection of folk art dating back to the seventeenth century. Check into the tranquil Sol Y Luna, your home for the next three nights, and enjoy a traditional Peruvian. Sol y Luna was born in 1996, when Franz and Petit – its founders – arrived in the Sacred Valley with the aim of settling there and sharing, with visitors and neighbors, what this land has to offer: beauty, culture and history, together with work and the joy of progress. Sol y Luna boasts over 100 collaborators, who share a common philosophy of respecting the natural environment and living in harmony with the local culture. The hotel is located in the province and district of Urubamba, in the heart of the Sacred Valley of the Incas, at an altitude of 8,850 feet, one hour’s drive from Cusco city. Minutes away from the hotel, you can find important archaeological sites like Moray, Pisac, Ollantaytambo, Chinchero and Machu Picchu. Morning visit to the Chinchero Indian market where you will have the chance to participate in a textile workshop. Bike off-road to the Inca site of Moray. Picnic lunch. Shuttle to Maras and bike to the ancient salt pools and mines known as the “Salinas de Maras. ”Dinner at Wayra Restaurant, a unique space where nature, art, gastronomy, adventure and good living blend together. Upon reaching our private river put-in and listening to a safety orientation, raft the Class II &amp; III whitewater rapids of the Urubamba River, conquering the adrenaline-inducing “train station” and “slider” rapids. Savor a traditional pachamanca lunch at a local restaurant. This afternoon, explore the fascinating ruins of Ollantaytambo with your guide and later, you may opt for a Peruvian Paso Fino horseback ride. Dinner in the colorful Huacatay Restaurant. 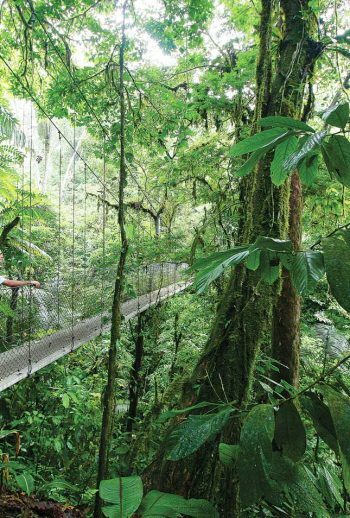 The Pueblo Hotel’s private 12-acre cloud forest inside the Machu Picchu Sanctuary offers a scattering of cottages, streams, gushing waterfalls, gardens and wild forest. Discover a working tea plantation, and the world’s largest private collection of indigenous orchids, open to the public. What could be more enchanting than the vibrant Waqanki, and the legend of a lovesick Inca princess whose sadness was transformed into colorful teardrop petals? Full morning to explore Machu Picchu’s mountaintop ruins with a private guide. You will have the option to hike up Huaynapicchu Mountain at 10:00 am if you desire. Lunch in Machu Picchu. Afternoon train ride back to Ollantaytambo and car transfer back to Cusco. Dinner at your hotel. A storied mansion dating back nearly five centuries, Palacio del Inka stands in the historic center of Cusco. Directly across from the Koricancha, it is a five-minute walk from the main square and less than a mile from an array of museums, markets and restaurants. The rooms blend a rich Peruvian personality with the city’s enchanting history, all while providing the luxuries that a modern day traveler expects. The state-of-the-art amenities guarantee an enriching and memorable stay in Cusco. Morning tour of Cusco’s nearby famous archeological ruins: Sacsayhuaman, Qenqo, Puca Pucara and Tambomachay. Lunch in the city. Take a guided walking tour of the main square of Cusco, the Cathedral and the “Korikancha” temple of the sun. Farewell dinner at Map Café followed by some lively music. Return flight to Lima. With guide assistance, connect with your international flight home. * This trip is operated in partnership with Apumayo Expediciones. ** Trip itineraries are subject to change without notice due to road, weather and other factors outside of our control, for the safety and enjoyment of our guests, as deemed necessary and appropriate by Austin Adventures and Apumayo Expediciones. An Austin Adventures/Apumayo representative will meet you upon arrival at the Lima airport. Upon clearing customs, transportation to Hotel B in Lima’s Barranco District (1 hour transfer) will be provided. On Day 9 you will be transferred from the Palacio del Inka to the Cusco airport according to your morning or afternoon flight schedule. You will be met upon your arrival in Lima and assistance will be provided to the international departures terminal of the Lima airport. Please confirm with your airline provider if the Peruvian airport departure and tourist tax is included in your ticket. If not, this departure tax must be paid in U.S. dollars or Peruvian Nuevos Soles, as credit cards are not accepted. Hiking: 1 to 2 mile city walks and ruins tours; 5-mile challenging hike on the Inca Trail (elevation gain of 2,000 feet). Mountain Biking: 15 miles on dirt, moderately difficult. Horseback riding: (Optional) no experience necessary. Whitewater rafting: Class II and III rapids, no experience necessary. Crowned by the towering Andes and tucked between the Amazon and the Pacific, Peru offers a captivating mix of adventure, nature and history. Embedded in every active traveler’s Top Ten List is the great city of the clouds, Machu Picchu. Our route takes us there from bustling Lima, to the cobblestone streets of Cusco, from ruin to ruin across the Sacred Valley, and by train and breathtaking footpath over the Inca Trail. Catch a glimpse of the Andean Condor, a vulture with the largest wingspan of any land bird – 10.5 feet! Discover the colorful street markets, friendly people, and strong local culture of Cusco, the historic capital of the Inca empire. Photograph the myriad of salt pans in Maras as the sun reflects off the water’s surface, slowly evaporating and leaving salt in its wake. Delight in the traditional Peruvian dish of Pachamanca: lamb, mutton, pork, chicken or guinea pig, marinated in spices and baked with the aid of hot stones in an earthen oven known as a <em>huatia</em>. Did you know that Machu Picchu is called “The Lost City” because when it was “rediscovered” by Yale explorer Hiram Bingham III in 1911, the jungle had literally swallowed the complex ruins? Even a knife blade can’t be inserted between the precise mortarless joints of the stones used in the building of Machu Picchu, and many of these stones weighed more than 50 tons! Come explore Peru with the experts in adventure travel! All meals as listed in detailed daily itinerary (B = Breakfast, L = Lunch, D = Dinner).